As mentioned in my previous post, I had arranged a Supervisory Meeting on Friday 19 June 2015 to meet up with my two supervisors, Dr Simon Hayhoe and Dr Darren Ambrose, to discuss moving the project forward in terms of the ethics application and looking at ways of working together. At this point, it might be useful to provide some information regarding my study. The purpose of the research is to explore the extent in which academics in higher education (HE) engage with professional learning (e.g. Eraut, 1994) and the conditions in which this activity takes place. Research into the ways that academics in HE engage in professional learning is quite sparse (e.g. Sharpe, 2004; Knight, Tait & Yorke, 2006). Moreover, this research has tended to privilege the teaching dimension over the many other functions that form an academic life. What I would like to look at is the whole academic which encompasses and embraces other dimensions of an academic’s role, that of researcher, administrator, personal tutor, public engagement, and in some cases, practitioner (e.g. law, health-related); thus building upon the findings of other studies to create a more holistic picture of professional learning in academia. Furthermore, as academics in HE become increasingly more pressured, in terms of time and resources, to what extent do they privilege one from of professional knowledge (e.g. discipline-related) over another (e.g. policy-related). The recent 2015 Student Academic Experience Survey (Buckley, Soilemetzidis & Hillman, 2015) may yet add another dimension to the research. A research assemblage will be comprised of interviews, questionnaires, staff and educational professional development policy documents, and photographs taken by research participants of the places and spaces they use to engage with professional learning along with the tools and materials that they use to support this activity. This research will be framed within a sociomaterial perspective which will be used to illuminate those conditions (spaces, places, tools, materials) that facilitates and influences the extent in which academics engage with their professional learning, noting those differences, disruptions and exclusions that occur in, out and between the flows of practices and activities (cf Fenwick & Nerland, 2014). Incidentally, I had a very nice message on my blog from Annamarie McKie, a senior lecturer in learning and teaching at the University for the Creative Arts (UCA), who is currently undertaking a Doctorate in Education (EdD) at Kingston University. Annamarie’s research is concerned with exploring academic discourses around Continuing Professional Development (CPD) and what factors contribute to participatory learning culture. So, I think there is an opportunity here to exchange some notes and observations concerning those “technologies of the self”(Foucault, 1994). I had completed the ethics application form along with various associated documents (e.g. risk assessment, participant information sheet, and consent forms) and the research instruments themselves (e.g. staff questionnaire and staff interview schedules). I had also produced a briefing guide for research participants on producing the necessary pictures for the photo elicitation interview. The meeting was very positive and I think my supervisors were impressed that I was already “way ahead of the game”. They asked challenging and probing questions as one would expect from a ‘critical friend’ (Costa & Kallick, 1993), but I was taken aback that there were some questions that I did not have ready answers to, or I had not articulated the responses as smoothly and confidently as I would have liked. So, there is a lesson learnt here about always ‘expecting the unexpected’. I am keen to get the ethics application form out the way as soon as possible. However, as my supervisors have noted that there is time and an opportunity to fine-tune the questions to try and get to the ‘why’ of the matter; so this is something I will be looking at. 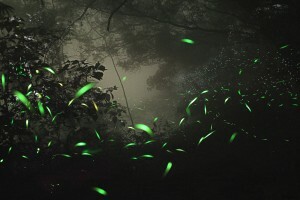 The meeting also left me with ten million ‘epistemic fireflies’ lighting up my brain as a number of very helpful suggestions were offered by my supervisors. Darren suggested that I might want to take a look at something called ‘Object-Oriented Ontology’ (OOO) or ‘Object-Oriented Philosophy’ (OOP) depending who you read. As I understand it, object-oriented ontologists argue that we must no longer make the correlationist error of privileging the being of humans within ontology, instead moving to a “democracy of objects” (Bryant, 2011), which would seem to fit in nicely with a sociomaterial framework. Simon wondered whether using photovoice (Wang & Burris, 1997) as a methodology rather than a photo elicited interview might gain much more richer information. Photovoice is a qualitative and participatory method that combines photography and group work enabling participants to tell stories, through their photographs, about those issues, opportunities and challenges that are of importance to them. This seems to be a very powerful tool for giving unrepresented and marginalised individuals a “voice”. There was a suggestion to consider whether the place and spaces that academics occupy are by choice (i.e. they have chosen to go to the library to do a bit of research), by circumstance (i.e. they are stuck on a train and have used the time to research), or by convenience (i.e. they have elected to stay in their office to do a bit of research because they have access to everything they need). Choice and convenience may seem similar in nature, but are nuanced enough to be two separate categories. Furthermore, there is a question as to whether I should capture in some way those staff who, by choice or circumstance, do not engage with professional learning – should I give them a ‘voice’ too? Other suggestions have been offered, like interviewing senior managers who have a responsibility towards staff and educational professional development and gaining their perspective. Should I consider engaging in a comparative study with another University to see what commonalities and differences occur in the professional learning of academics? There was also some discussion around using thematic analysis (Braun & Clarke, 2006) as a way to deal with issues around participant anonymity. But, I will need to see whether this approach sits comfortably within a sociomaterial framework. 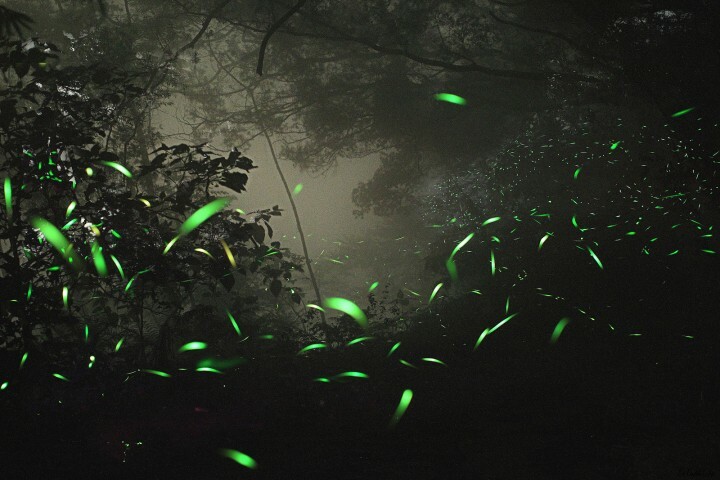 So, I have these ‘epistemic fireflies’ buzzing inside my head. Some will fly away, some will perish, some will evolve, and some will be stored in a jar for a later day. There is a lot to think about, some materials will need to be read and some writing will need to be done. But I am keen to get my ethics application underway and approved. I would like to hit the ground running with my research when it really kicks off in earnest in October/November 2015 time. Braun, V. & Clarke, V. (2006). “Using Thematic Analysis in Psychology”. Qualitative Research in Psychology, 3(2), pp. 77-101. Available at: http://dx.doi.org/10.1191/1478088706qp063oa [Accessed 22.6.2015]. Buckley, A., Soilemetzidis, I. & Hillman, N. (2015). The 2015 Student Academic Experience Survey. Oxford, England: The Higher Education Policy Institute (HEPI) and The Higher Education Academy (HEA). Available at: http://www.hepi.ac.uk/2015/06/04/2015-academic-experience-survey/ [Accessed 13.6.2015]. Eraut, M. (1994). Developing Professional Knowledge and Competence. Abingdon, Oxford, England: Routledge. Fenwick, T. & Nerland, M. (Eds.). (2014). Reconceptualising Professional Learning: Sociomaterial knowledges, practices and responsibilities. Abingdon, Oxford, England: Routledge. Foucault, M. (1994). Ethics: Subjectivity and Truth (Essential Works of Michel Foucault, 1954-1984, Vol. 1). Edited by P. Rabinow. London, England: Penguin Books. Knight, P., Tait, J. & Yorke, M. (2006). “The professional learning of teachers in higher education”. Studies in Higher Education, 31(3), pp. 319-339. Available at: http://dx.doi.org/10.1080/03075070600680786 [Accessed 9.5.2013]. Sharpe, R. (2004). “How do professionals learn and develop?”. In: Baume, D. & Kahn, P. (Eds. ), Enhancing Staff and Educational Development, pp. 132–153. London, England: RoutledgeFalmer. Wang, C. & Burris, M.A. (1997). “Photovoice: Concept, Methodology, and Use for Participatory Needs Assessment”. Health Education & Behavior, 24(3), pp. 369-387. Available at http://dx.doi.org/10.1177/109019819702400309 [Accessed 22.6.2015].